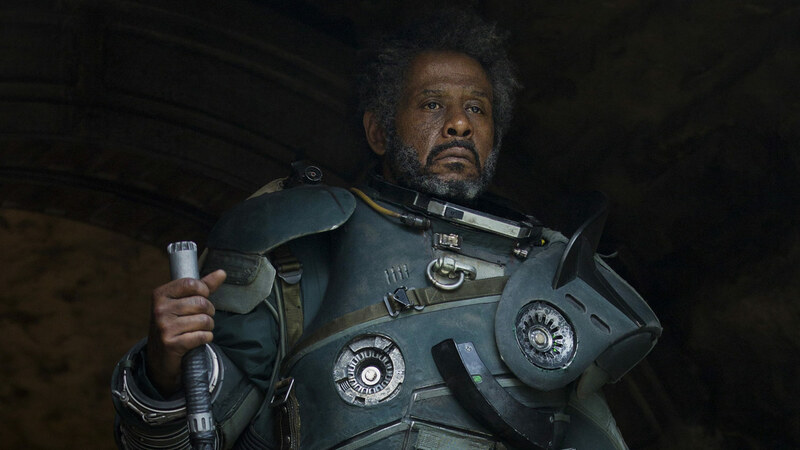 Forest Whitaker, who played Saw Gerrera in the stand-alone Star Wars film Rogue One: A Star Wars Story, was born on this day in 1961. The American actor reprised his role as the Rebel extremist in Star Wars: Rebels, where he returned to voice the character. He appeared in the two-part season three story arc, Ghosts of Geonosis. Saw Gerrera was first introduced into Star Wars canon in the TV series Star Wars: The Clone Wars. He was a human male resistance fighter who, as a leading member of the Onderon rebels, fought against the Separatists on Onderon during the Clone Wars. He and his sister Steela Gerrera, were instrumental in the rebel liberation of their homeworld during the Onderonian Civil War. Saw's resistance cell, a continuation of his Onderonian resistance, was one of the first in the group of cells that formed the Rebel Alliance. He was later involved in the early campaigns of the Rebel Alliance, but his tactics were deemed too extreme in the eyes of Alliance leaders Bail Organa and Mon Mothma. Following the schism the Onderonian went on to base his group on the planet Jedha in an attempt to discover whether the Empire was building a super weapon. What is your favorite moment from Whitaker's performance as Saw Gerrera. Let us know your thoughts in the comments below.